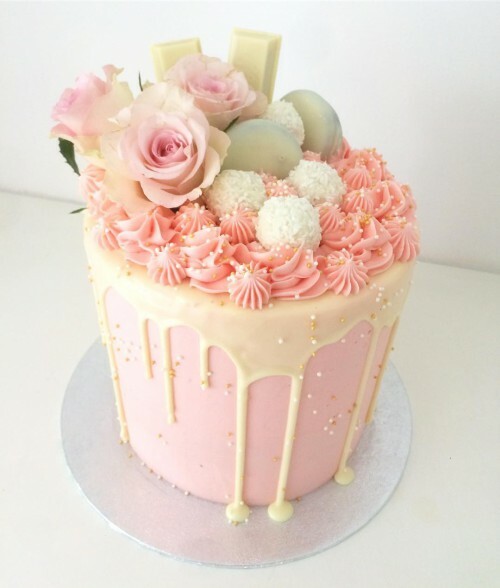 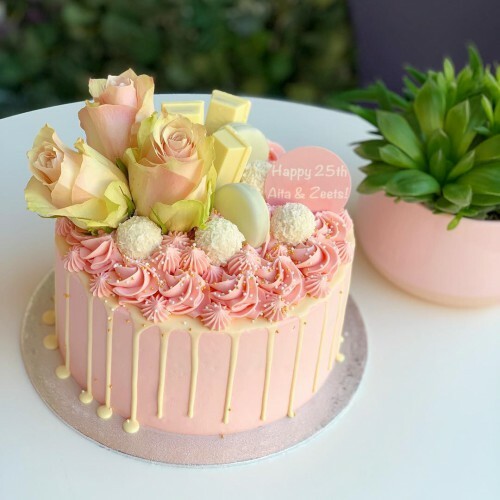 A stunning drip cake decorated with a matching mix of (fresh) flowers, chocolate and/or cookies – depending on your choice of colors. 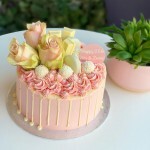 Our cakes can only be picked up or delivered in Amsterdam. 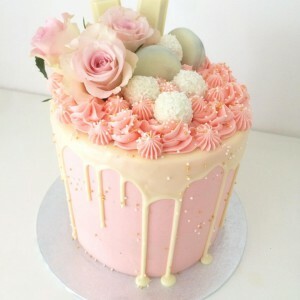 Please order at least 3 days in advance.